The Society of Interventional Radiology (SIR) announced the establishment of the Grants for Education of Medical Students (GEMS) Program at its 2019 annual meeting in Austin, TX. 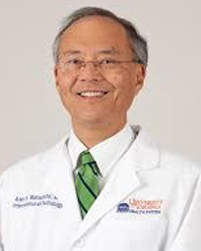 Alan H. Matsumoto, MD, former SIR president and new recipient of a SIR Gold Medal Award, introduced the program, which aims to support diversity by providing travel grants for medical students participating in a visiting clerkship in interventional radiology (IR) outside of their home institution. The GEMS program is targeted to medical students who are seeking to be the first generation of physicians in their family. Students from racial or ethnic groups that are underrepresented in IR, women, or LGBTQ students are eligible, as well as students who come from socioeconomically disadvantaged backgrounds. SIR establishes GEMS travel grant. Appl Radiol.